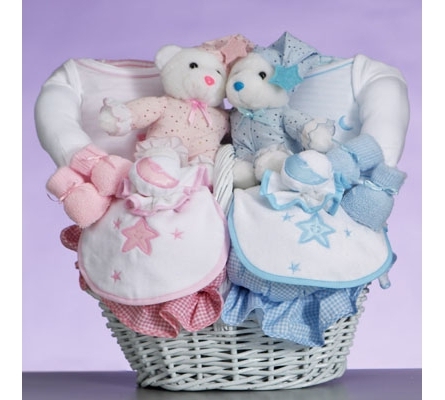 Look no further than our Celestial Baby Gift Basket to celebrate the very special delivery of twins. 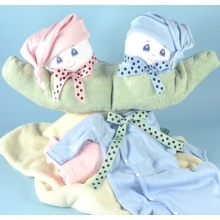 This "heavenly" twins baby gift comes filled with top quality components, for either two boys, two girls or for one of each. 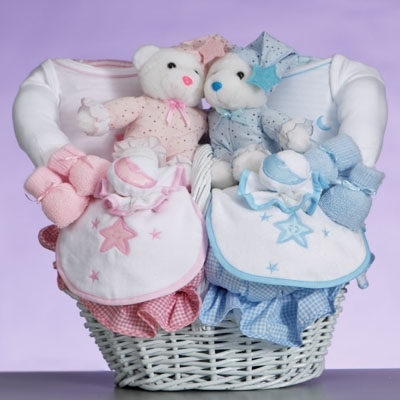 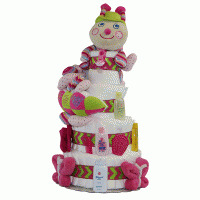 Just select the appropriate combination, and our team of experts will custom build a beautiful twins baby gift basket for you, featuring our distictive moon and stars applique and embroidery design. 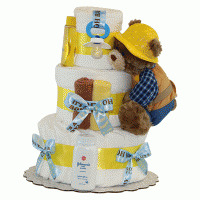 Your gift will be carefully produced, assembled, and gift wrapped in the USA. 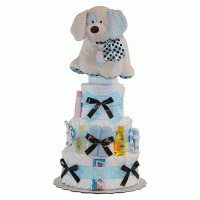 Isn't that a heavenly idea!